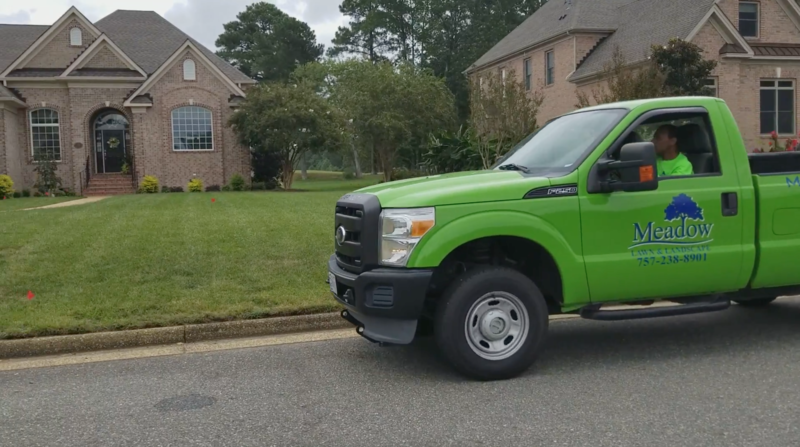 If you are in need of lawn care services in Suffolk, Newport News, Carrollton, Smithfield or the surrounding areas in Hampton Roads give the pros at Meadow Lawn & Landscape a call today at 757-238-8901. 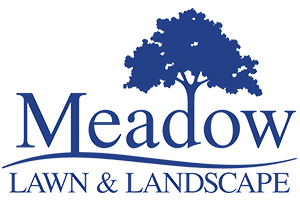 Meadow Lawn & Landscape is the most well-known and trusted name in the industry. We provide residential and commercial lawn care services in Suffolk, Newport News, Carrollton, Smithfield and the surrounding areas. Since 2008 we've performed residential and commercial lawn services giving our customers the time to enjoy their yard instead of laboring over it. 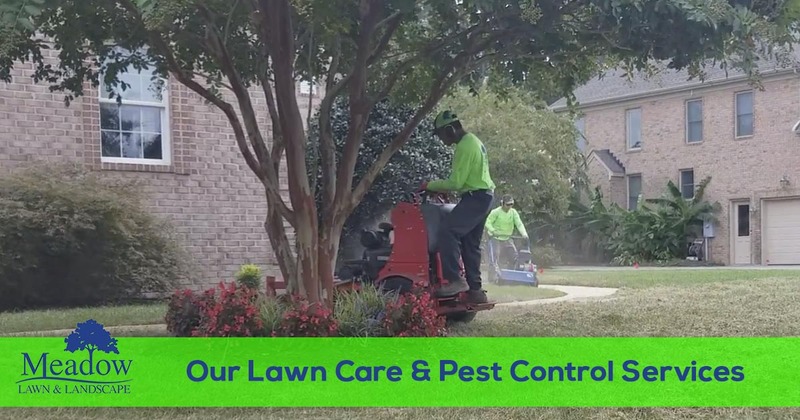 At Meadow Lawn & Landscape, he help our customers take care of all their yard maintenance chores from mowing the grass, trimming the bushes, installing new mulch to treating the lawn for weeds or outdoor pests. Whatever lawn and landscape task you need completed, we can help! Lawn Mowing – We are a full lawn and landscape provider but if you are looking for a quality lawn mowing service we are more than happy to help. Our basic lawn mowing service includes cutting all turf areas with the appropriate mower for your lawn. We use a trimmer where the mowers are unable to reach. All hard surfaces that border the lawn are edged to leave a neat and clean appearance. Once all of this is complete grass clippings are blown off all hard surfaces and out of flower beds. Grass clippings are typically not collected as studies have shown it better to return them to the lawn for nutrients. In some cases we will collect as needed or if asked by our clients. Fertilization and Weed Control – There are several different types of grass in this part of Virginia. No lawn is the same which makes your lawn unique. We offer a year round 9 step program specifically tailored to your lawn.Your lawn program will be developed by our own Certified Turf Manager after we test the soil makeup. Landscapes – We love creating and maintaining landscapes. If you are dreaming of a new landscape design we can create, build, and maintain it for you. Landscapes should be sustainable, aesthetically pleasing and add value to your home. Did you know we also offer seasonal color? Whether it's annuals, perennials or bulb installation, we offer several varieties that our enhancement team can assist you with. Mulch – We offer a variety of mulch blends and colors for delivery and installation if needed. Mulch acts as a weed barrier, provides nutrients to the soil, keeps the soil bed cool and moist to protect your investment. Irrigation – Whether you want a new irrigation system to protect your lawn or flowerbeds we can design, install and maintain it for you. Or if you have an issue we can fix it typically the same day. We offer emergency repairs, rain sensors, backflow repair, replacement and testing. Don’t forget an irrigation system is an investment and we provide winterization and startup of all irrigation systems. Pest Control – Your lawn and landscape is a living organism and can be attacked by unwanted pests. Whether it’s your lawn or landscape that is suffering from unwanted pests such as grubs, mites or scale to name a few we have a solution to deter those unwanted pests. We also provide mosquito control so you can enjoy your outdoor environment with family and friends. Yard Clean-up – We are available to handle any seasonal cleanup you need. Spring, special events and even fall leaf removal we can handle any project you have. This service is offered one time or as part of your scheduled service. You don’t even have to worry about the waste, we haul and dispose of it for you.